Welcome to this website, which celebrates the glorious history of Libya. 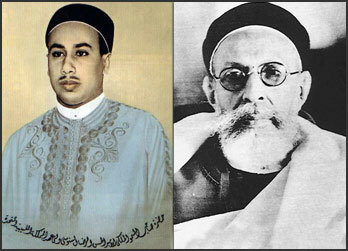 December 24th 1951 was the day that Libya declared its independence under the leadership of King Idris I. This site tells the story of our people who sacrificed so much to win their freedom and independence. It also tells a story of statesmanship, and wise leadership; as well as selfless hard work for unity and nation building by the founding fathers. The Libyan state of independence (1951 to 1969) was indeed a remarkable accomplishment with few parallels in modern history. With its enlightened constitution chosen by its people, democratic institutions, and the peaceful prosperity achieved for its citizens, it will always be a shining beacon guiding future generations on the path to freedom, justice, and democracy.